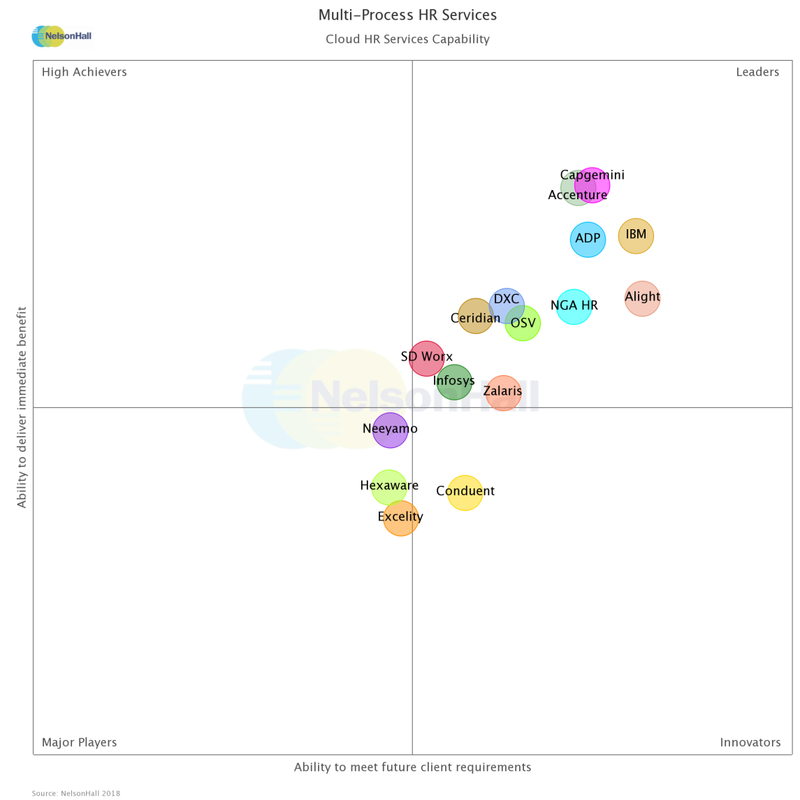 Capgemini is extremely proud to have been identified as a “Leader” in the NelsonHall Evaluation & Assessment Tool (NEAT) Report for Cloud and Multi-Process HR Services. End-to-end capabilities for cloud and multi-process HR services from concept to execution. Focus on incorporating digital developments into its HR services, including Digital Employee Operations, Digital Helpdesk, and Digital Learning Operations. Emphasis on creating a business case for transformation to the cloud through post deployment HR BPaaS support. Heavily leveraging next-generation technological innovations, including robotic process automation, chatbots, machine learning, and artificial intelligence. Learn more about Capgemini’s Digital Employee Operations and Digital Learning Operations solutions.